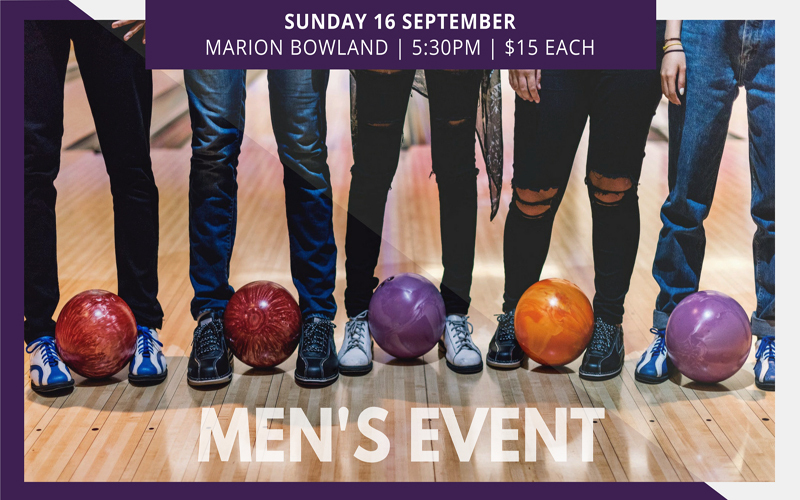 On Sunday the 16th September all men are invited to join us at Marion Bowland. We have made a booking for 5:30pm so please be sure to show up on time. The cost of the event is $15 each. This covers two games and shoe hire. Registration for this event is required! Please register at the info desk after one of our Sunday Services or through emailing the church office. Marion Bowland is located in the Westfield on the lover level.